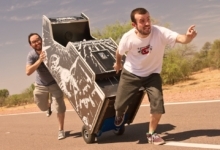 Finding micro-experiences in video games has always been my favorite scavenger hunt. From taking part in ordinary activities, such as pool or bowling, to diversions that are completely different from a game’s core idea, some minigames just shine above all others. Yet only a few have managed to become full, standalone games — such as Gwent from The Witcher 3. Introduced as a reference to Street Fighter Alpha 3 by Capcom, this minigame by “Nabcon” appeared as a secret arcade cabinet in both Doom 3 and DOOM (2016). 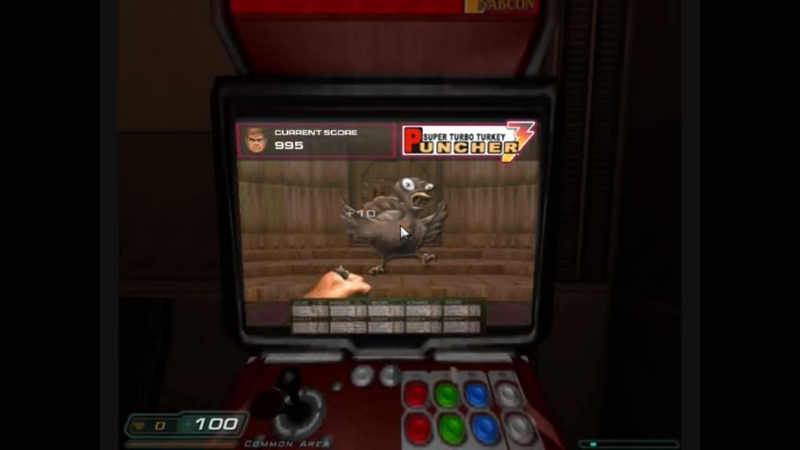 The premise was always simple: unfortunate turkeys appear on-screen and, with the power of button mashing, the Doom Marine uses a representation of his classic self to punch the poor animals until they’re dead. Then a new one always comes to take its predecessor’s place. It’s all tied to a scoring system. Doom 3 even gave you an achievement and a terse email from the UAC once you reached 25,000 points. I can’t believe Bethesda hasn’t already made a mobile or clicker game out of this yet. The foundation is already there! Even if it was mostly meant as a joke, we already know Bethesda isn’t averse to that kind of thing. The company could feature the entire roster of Doom enemies, attaching different point values to each. Maybe you could spend those points to buy upgrades or boosts to the Marine’s fist — or more fists. Fallout fans were already treated with Fallout Shelter on mobile devices, but now it’s time for the Doom clicker we deserve to arrive on our phones. Make it happen, id Software! Please. 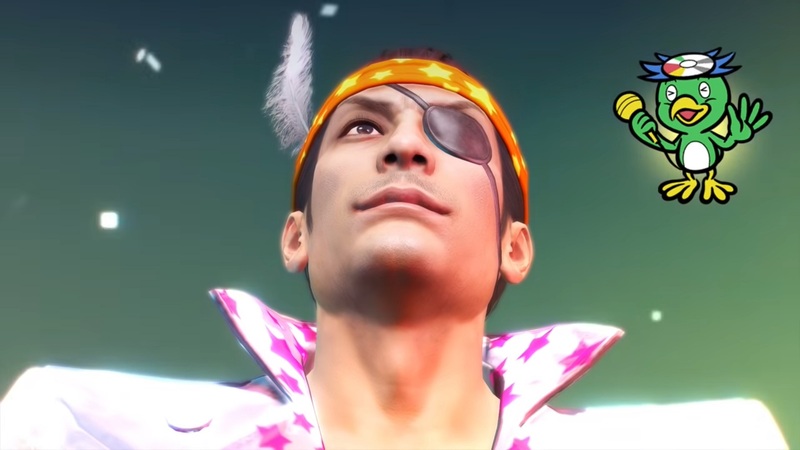 I can’t recall how many times I’ve played JUDGEMENT-審判 in Yakuza 0. I’m not sure I’d like to know, either. But it’s not just a fantastic song; it’s one of the many exhilarating moments from the entire series. Really! The thing is, even though each entry has its own unique selection of songs, set lists can fall short individually. 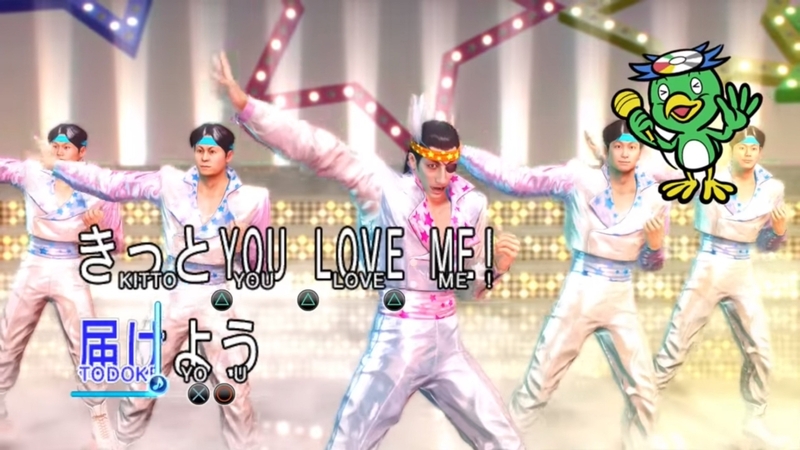 If Persona — a series with no canonical singing or dancing up to that point — can pull off its own dancing spin-offs, I don’t see why Yakuza can’t do the same. I want to be able to play the entire music selection from each game’s karaoke in one unique package! The only downside is that, mechanically, the minigame itself is pretty basic. But if SEGA took the time to flesh it out — perhaps by including a huge library with unlockables that cover the entire series, or even a gacha system like the Smash Ultimate Spirits mode — I’m ready. Located in the basement of a comic book store, which serves as a gathering place for the nerds of Bullworth Academy to play Dungeons & Dragons, is an arcade machine found nowhere else in the game. ConSumo puts you in control of an emerging sumo wrestler who has to eat everything in sight in order to grow bigger. The catch is that he also has to avoid rotten food, lethal goldfish, and other sumos that will bounce you all over the screen. I played and finished Bully years ago. So did my brother, but he occasionally plays through it from time to time. And each time, without fail, he asks me to help with the minigame. I can never decline the offer to dive back into it, either. The song that plays in the background has just stayed with me even after all this time. Check for any gameplay video on YouTube and you’ll likely find dozens of people who remember ConSumo with nostalgia (and loathing, thanks to its difficulty). Technically, it was only part of yet another test from yet another clique that protagonist Jimmy Hopkins had to befriend. But I’d give anything to have more levels. You could add variety to the food menu for the sumo, as well as include different kinds of scenarios and enemies without losing the simplicity of the core minigame. This is probably the most complex minigame I’ve had the pleasure of finding — aside from card games such as Gwent. 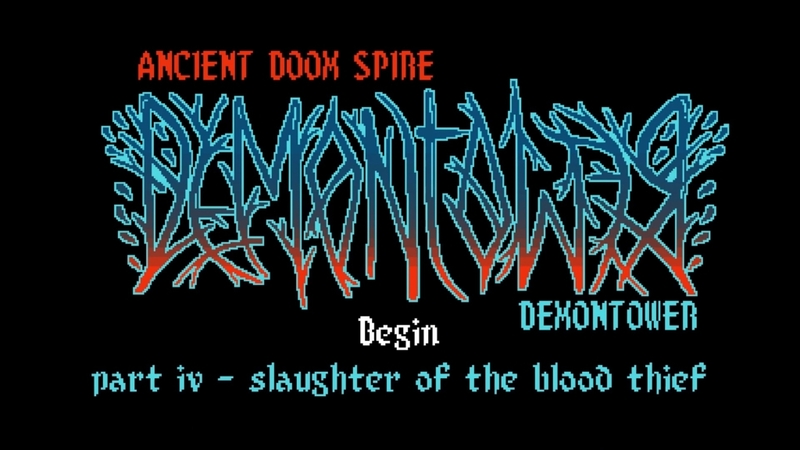 Found as an app installed on Mae’s computer, Demontower is a full 2D roguelike of its own. In the paws of Palecat, players have to get through nine procedurally generated levels using only a single attack and dashing to defend themselves. As the game progresses, new dash charges get added at the cost of losing a point of maximum health. It also features a full soundtrack of its own, as well as two possible endings. Even though it was developed to provide an optional (yet integral) experience to Night in the Woods, I’m surprised we haven’t seen more adventures of Palecat — either as a standalone game with more features or a new chapter inside Demontower. Why, you ask? Well, in the main screen you can see a subtitle that reads “part iv – slaughter of the blood thief.” That gives me hope for an extended visit to this strange world in the near future. Here’s another intriguing example that could work as a mobile game for short periods of time. I know water levels don’t usually carry a good reputation, but Tiger! Tiger! has an interesting mechanic from the get-go. You command a submarine that needs to dodge its way through enemies and obstacles in order to retrieve treasure at the bottom of each level. However, that’s not the end. 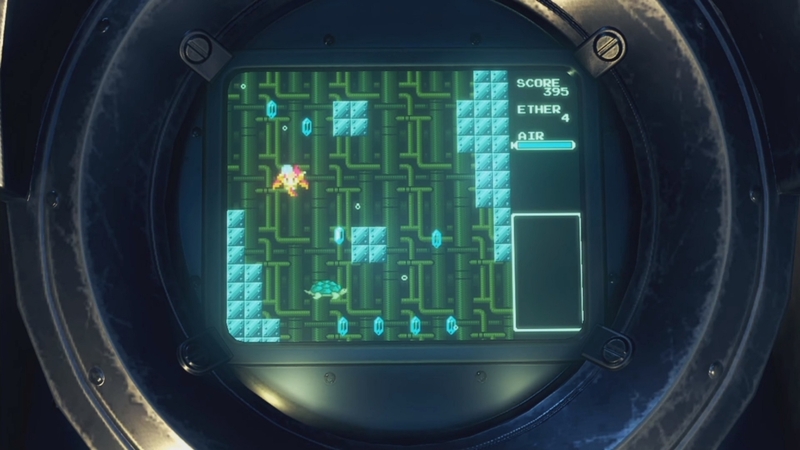 After retrieving the treasure, you immediately fly all the way back up to the surface without the ability to attack. The submarine can use a harpoon gun to defeat enemies, on the way down, but they all demand different strategies depending on their weak points. On top of this, there are gems and materials to pick up along the way, as well as a scoring system. If that isn’t enough, you can also obtain medals based on your performance. There are even secret rooms to find, too! What intrigues me most about Tiger! Tiger! is how it ties its rewards into the main game. It doesn’t force you into a tournament or a specific set of quests like in The Witcher 3. But the items obtained in the minigame can be used during “Poppiswap” — a mechanic that upgrades a party member in the main game. For me, this seems like a missed chance to further expand what could have easily been a companion app for the main game, allowing you to unlock new items and equipment without making it mandatory. If anything, it would ease the wait for players that want to see more entries of the Xenoblade saga on Nintendo Switch. Snake’s fear of vampires is not only canon, but also portrayed at the start of a dream sequence in Metal Gear Solid 3. Whether you’re a fan like me or a newcomer to the series, let me summarize it for you. In the original version of MGS3, players that saved and loaded the game during a prison scene found themselves in a completely different scenario. This was Snake’s nightmare triggered by a conversation with his confidant Paramedic. Far from the meticulous art of CQC and hiding inside boxes, Guy Savage allows you to fully rampage against undead police officers carrying massive hooks. It’s basically a clunky hack & slash by today’s standards. But it still remains pretty grim and violent. Some attacks trigger a short shower of blood à la Tarantino. 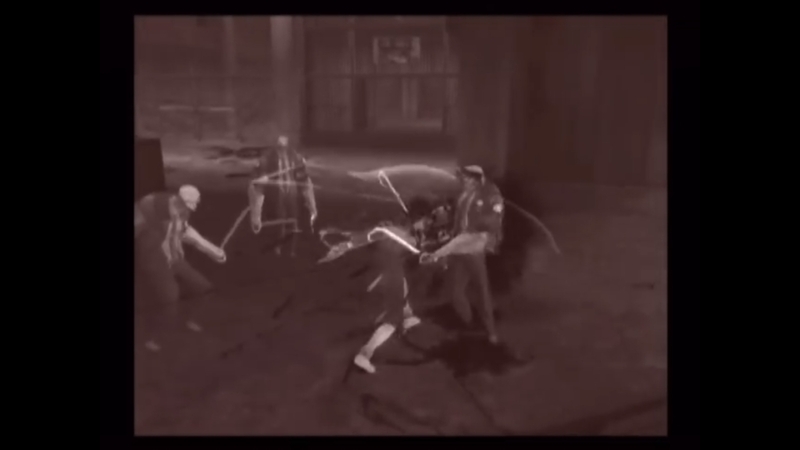 You can dismember zombies with ease and the character was even able to turn himself into a beast, massively changing his attacks and overall speed. The fact that this minigame in particular wasn’t made into a standalone title fills me with pain and sorrow (not sorry). That’s because Guy Savage actually was a prototype for the canceled version of Zone of the Enders 3 and a game with the codename “Anubis.” If Hideo Kojima followed up on this initial idea, many would see that it also resembles Bloodborne. Although the setting is quite different. I’m not sure what’s gonna come from Death Stranding, but if Kojima ever tries to develop a new hack & slash, I’ll be the first to throw money at the screen. I miss games like Hulk: Ultimate Destruction and Prototype, where you had an entire city at your disposal to wreak havoc in as you saw fit. You only stopped to fight against those who tried to stop you. Watch Dogs might also use an urban space as a playground, particularly because you can cause vehicle crashes by messing with street lights using your phone, but it still wasn’t as chaotic as Infamous. Nor was that really the main intention. But Spider Tank is different — and part of the five “Digital Trips” inside Ubisoft’s hacking simulator. In this minigame, you control a robotic spider. It’s frighteningly big and carries both a machine gun and a rocket launcher. 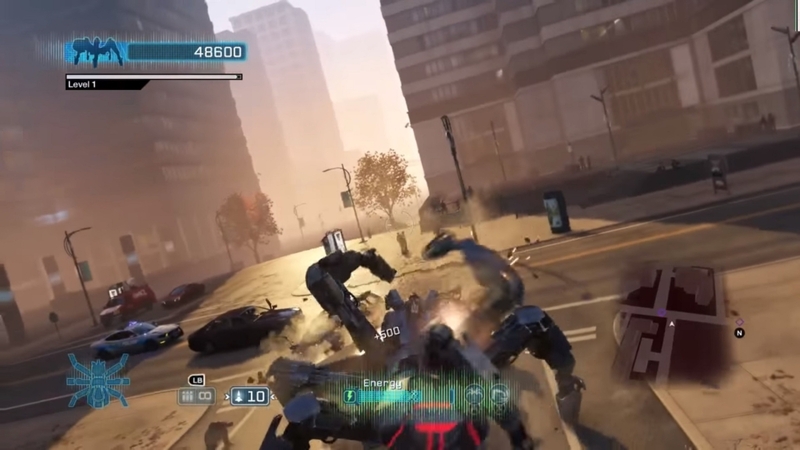 There are also melee attacks and the mobility possibilities are great, presenting a nice change of pace from Aiden Pierce’s boring human walking. The objectives are pretty straightforward and kinda silly: such as taking out a certain number of cops or going face-to-face (or leg to helix?) against a helicopter. You can even upgrade the spider with a skill tree, too, all with the intention of destroying everything in sight in Chicago. One can only wonder why the developers put so much effort into a minigame. The Spider Tank did at least reappear briefly at the end of Watch Dogs 2. But it has enough arcade vibes, as well as that element of mayhem that is sorely missing nowadays, to stand on its own two feet. Introduce a main mission with an evil corporation and boss fights against other mechanical animals and you’ve got yourself an entirely new experience. Let’s hope they try to workshop a better name, though.